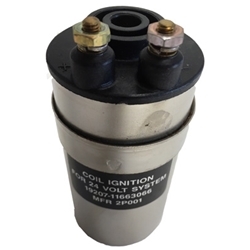 Coil, 24 volt ignition, NOS. Limited QTY. COIL 24 VOLT M-SERIES JEEP NOS. WO-118712 . Very limited QTY.